Ann Sullivan submitted this photo and caption. 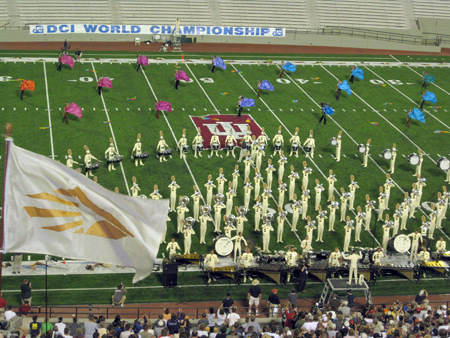 This photo was taken during Carolina Crown's Quarterfinals performance in Bloomington, Ind. during the 2008 World Championships. 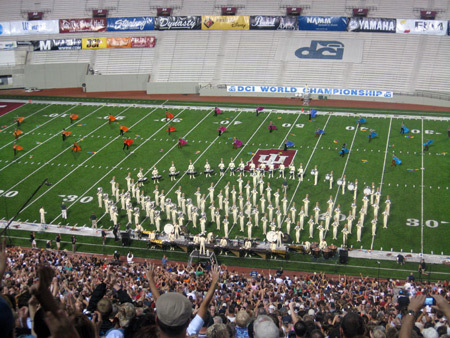 Although Crown didn't win the World Championship, the crowd showed how much they loved the show, and the corps members after finishing their 4th place performance.